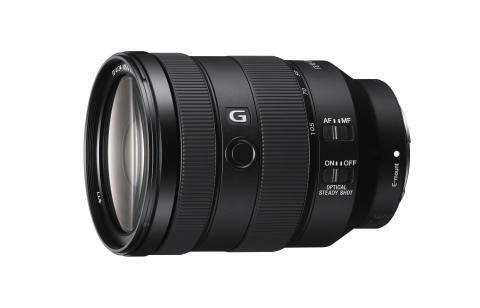 Sony today announced the latest addition to its expanding full-frame E-mount lens line-up, the FE 24-105mm F4 G OSS Standard Zoom (model SEL24105G). The new full-frame lens covers the commonly used 24 to 105mm focal length range, delivering outstanding G Lens™ imaging performance with the most lightweight design in its class[i], maximising its versatility and usability. 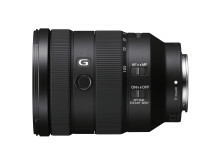 Therefore, the FE 24-105mm F4 G OSS can be used for versatile shooting including landscapes, portraits, weddings and more. 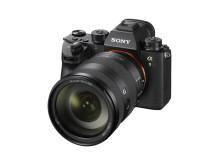 This lens also features fast, precise and quiet autofocus capabilities in both still and video shooting, making it an ideal complement for Sony’s extensive line-up of E-mount cameras. This high image quality is made possible thanks to its advanced optical design featuring four aspherical lens elements, two of which are high precision AA (advanced aspherical) lenses. There are also three strategically located ED (Extra-low Dispersion) glass elements that work in combination with the aforementioned aspherical lens elements to minimise chromatic aberration and ensure the ultimate resolution is captured. 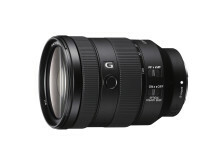 The new FE 24-105mm F4 G OSS lens weighs in at approximately 663 grams (23.4 oz), making it the lightest lens in its classi. 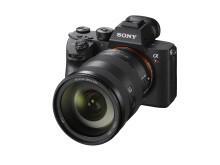 When combined with one of Sony’s compact E-mount bodies, it gives photographers and videographers a far more mobile, manageable camera system that greatly increases their shooting flexibility. In addition to the compact design and versatile 24-105mm focal length, the new lens has a minimum focus distance of 1.25ft, allowing for impressive close up detail. It also includes built-in optical image stabilisation to make it easier to produce sharp, blur-free images when shooting handheld. Further adding to its versatility, the new standard zoom lens also features a customisable focus hold button, a dust and moisture resistant design[ii] and a fluorine coating on the front element to help minimise dust, water, oil and other contaminants. The Sony SEL24105G Full-frame Interchangeable Lens Camera will ship in Europe in November 2017, priced at approximately €1350.